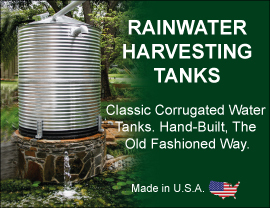 In addition to our extensive selection of liquid storage tanks and accessories, American Tank Company offers an impressive line of premium pressure tanks and water pumps which are ideal for residential, commercial, industrial and wastewater applications. Our typical systems include either diaphragm or galvanized pressure tanks and we offer a wide variety of high quality water pumps to choose from including Centrifugal Pumps, Submersible Pumps, Booster Pumps, Jet Pumps, Fire Pumps, Sump Pumps and Goulds Pumps and Davey Pumps. Featuring innovative engineering and cutting edge manufacturing, American Tank Company’s pumps and related accessories have become the No. 1 choice for professionals seeking quality, dependability and durability. Call us today for more information on our complete line of water pump and well water products. Call toll free today: 1-877-655-5100 to speak to one of our friendly and knowledgeable Water Pump & Well Pump Experts. From water pumps to well pumps to sump pumps, we carry a huge array of pumps for your needs. Our pump experts are available to discuss your project and help you choose the pump system that is right for you.